A brewmaster is creating a signature concoction using yeast found in his facial hair. 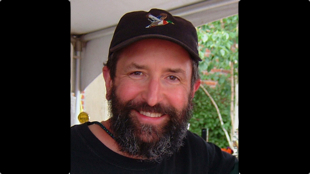 Maier used yeast clinging to the bristles of his 34-year-old beard, which were plucked during a hunt for signature yeast, says Rogue’s president Brett Joyce. Rogue Ales already grows its own barley, hops, and even honey, which it uses to make Meade. The next step was finding a source of homegrown yeast. 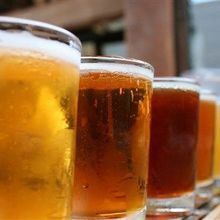 “There are only four core ingredients of beer: hops, barley, water and yeast. And it’s pretty hard to grow your own water,” Joyce says. 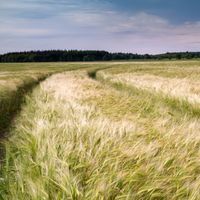 The brewery teamed up with White Labs, a San Diego, California-based distributor of brewer’s yeast, to find a new yeast strain around their farms or brew house. “We gave them some agar culture plates,” says Neva Parker, manager of White labs and fermentation specialist, “and they set them out in various places,” including their hop and barley fields, to find yeast. But, only one plate came back with yeast suitable for brewing, and it wasn’t from any of the fields. For fun, Maier and the other brewers—whose beers are known as much for their unique flavors as their puckish names, such as Dad’s Little Helper and Yellow Snow IPA—had pulled nine hairs from the 57 year-old Maier’s beard, which he says he last shaved in 1978, and plopped them into one of culture plates. 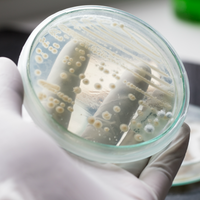 When the plate arrived at the lab for testing, Parker and her team first isolated the yeast from all the other germs and molds growing on the agar—brewers yeast, mostly in the Saccharomyces genus, looks like creamy white, shiny circles, and when scooped has the consistency of butter. Then researchers cultured the yeast to see if it would actively ferment. The beard hair’s yeast surprisingly performed like a hybrid between the brewery’s “house” yeast strain, called Pacman yeast—which is used to make most Rogue Ales—and a wild yeast. Some characteristics of wild brewer’s yeast, says Parker, include unreliably fermenting all of the sugars in the wort—the pre-beer liquid from boiled grains and hops—before being inhibited by the alcohol, which seemed to happen with the beard yeast. But they moved it on to a full trial brewing, which they normally perform by brewing a light beer like a Kölsch or blonde ale, using basic grains, like malted barley, for a keg-sized batch. The scientists tested it using taste—a tough job—and gas chromatography to assess the volatile flavor compounds. The beard yeast’s beer “was so clean in the flavor profile after it fermented, which is very unusual in the wild yeast,” Parker says. The brew had a mild, fruity aroma and lacked any harsh, medicinal flavors that sometimes result from using wild yeast, she adds. In fact, the beer tasted so good, the scientist double-checked that they hadn't mistakenly used the Pacman yeast strain instead of Maier's beard yeast. So how did such interesting brewer’s yeast show up in Maier’s beard, but nowhere else around Rogue? It’s actually not surprising, says yeast ecologist and yeast collection curator Kyria Boundy-Mills, of the University of California, Davis. Though there are more than 1,600 species of yeast, only a small fraction can ferment, she says, and the ones that do are usually found on animals, insects, sweet things—like rotting fruits and tree sap—and, of course, inside breweries. “They’re not mobile, they have to be carried in somehow,” like on brewing tanks or by fruit flies says Boundy-Mills, who recently returned from a yeast collecting trip in the Indonesian rainforests. Breweries and wineries, she says, regularly grow dense cultures of yeasts, and become coated from floor to ceiling with the fungus. And, though human skin usually doesn’t carry brewing yeast—it is crawling with other yeasts, such as Malassezia, which can cause dandruff if it gets out of hand—Maier’s 20 years of brewing history makes it likely that he’s picked up some hitchhikers along the way. Moreover, Boundy-Mills explains, new genomic tools are cluing yeast ecologists into the fact that the single-celled fungi often hybridize, particularly in places like breweries with high yeast populations. Maier’s beard yeast may well be a hybrid between Pacman yeast and a wild strain—carried in on a fruity dessert, perhaps. As for Rogue’s costumers, Joyce says that news of the beard beer has been polarizing, so far. People think it’s “either creative genius or the most disgusting thing ever,” he says.